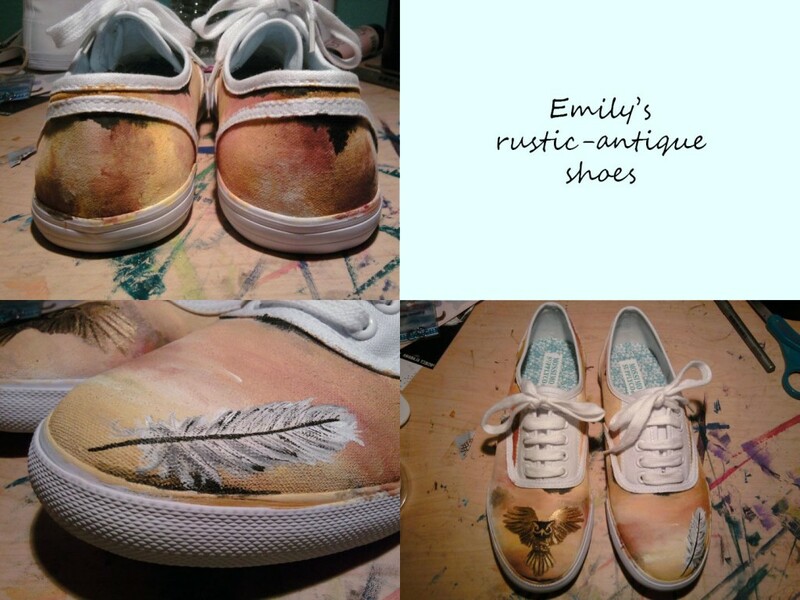 A friend of mine asked for me to paint her a pair of shoes and gave me free range to do whatever I wanted on them. 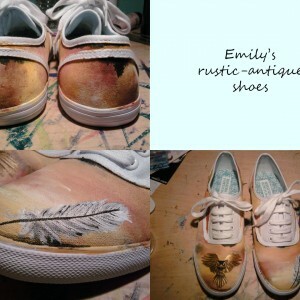 A few of my friends saw them on facebook and I just started painting shoes left and right. I make every pair of shoes individualistic and meaningful and I put a lot of detail in to every part of the shoe. 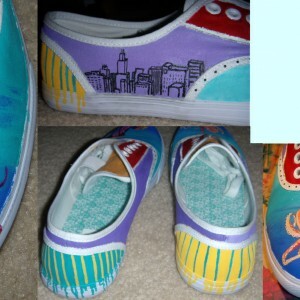 I like to show that the person I am painting the shoes for is worth all the hard work for every detail perfected. 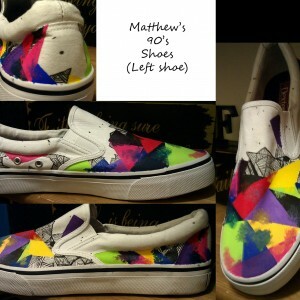 A pair of 90's themed shoes for my boyfriend. 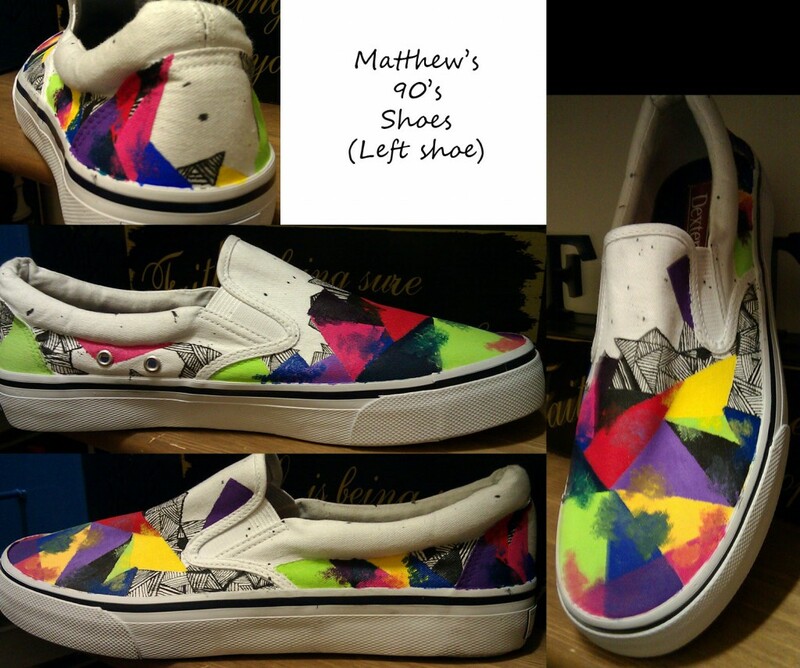 Well, hand painted shoes with many themes on them are hard to find in the marketplace haha but I always make sure the shoes I paint on are from the US or benefit a cause, like Toms shoes. « The Beauty of Neuro-science!